Gurney from San Quentin State Prison where prisoners are restrained before being killed. Utilitarianism is a form of ethics which seeks to maximize the benefits from human actions. As a theory, utilitarianism promotes the idea that the moral worth of a certain act is determined by the outcome. John Stuart Mill, a philosopher and economist, is perhaps the most prominent adherent to utilitarianism. In his (aptly titled) book, Utilitarianism, Mill stated that human action should adhere to the “greatest-happiness principle,” which strives to produce the greatest utility among all parties involved. Often covered in PhD programs, this theory has many applications to how public policies are devised. In terms of public policy, utilitarianism isn’t (and doesn’t claim to be) a panacea for the world’s problems. Maximizing the benefits of policies doesn’t guarantee fairness nor does it take into account moral issues which populations value above other results. 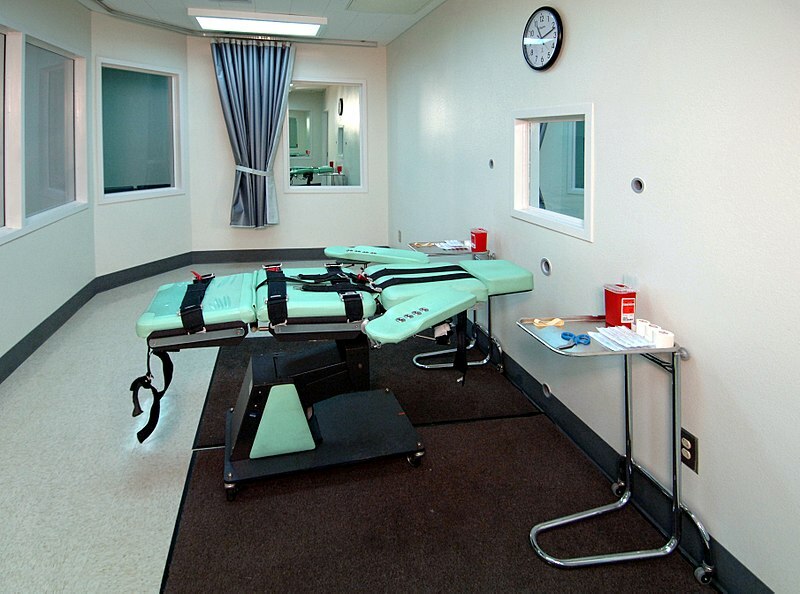 Regardless, utilitarianism provides a framework for public policy, and this article will look at how the theory relates to the death penalty. In essence, the threat and execution of a death penalty not only saves more lives than it takes away but also creates a social institution where people aren’t living their lives in fear of being murdered. Unfortunately, social norms and human empathy prevents policymakers from establishing a capital punishment law. For many, the possibility of wrongly executing one person is reason enough to abolish the idea. Furthermore, supporters of rehabilitation programs argue that felons receiving the death penalty can be reformed to become valuable citizens of society. Utilitarianism doesn’t necessarily overlook these arguments. Supporters of the death penalty acknowledge that wrongly executing innocent people is a factor which should be minimized. Furthermore, while complete rehabilitation of convicted felons is a noble goal to work towards, many efforts have failed and cost taxpayers millions of dollars every year. With that said, utilitarians argue that regulated capital punishment laws will not only deter people from committing capital offenses but also result in positive externalities such as less wasted rehabilitation resources. As a result, capital punishment in public policy will provide for the best outcome for society as a whole. As with all forms of public policy, the costs must be weighed against the benefits in order to formulate a sound policy decision. All in all, utilitarianism is just one school of thought which can guide policy decisions. Elaine Hirsch is kind of a jack-of-all-interests, from education and history to medicine and videogames. This makes it difficult to choose just one life path, so she is currently working as a writer for various education-related sites and writing about all these things instead. You can contact her at elainehi86[at]gmail.com. What about the other forms of ethics? There are a few…for a more complete article, I recommend trying to objectively discuss the issue with each of their perspectives, considering the weight of each perspective, and perhaps coming to a clearer conclusion. Ethics is very murky, of course! But does utilitarianism does need to consider the micro view in order to be more acceptable…I would find it an unspeakable terror if someone (or myself!) be incorrectly sentenced to death! Most countries think it a worse crime to find an innocent person guilty than to find a guilty person innocent (I know this includes all matters of crime, not just those punishable by death) and I think that is something that needs to be considered too. Utilitarianism also claims to consider all benefits and all costs…but who can most effeciently employ utilitarianism to what may be considered the highest individual gift, life? (I know this is murky when considering that it may spare the life of others). An unconsidered cost may be the unintended consequences of tacitly endorsing capital punishment (because you [the state] deems yourself worthy of deciding such a thing) towards other states/countries which may use it to basically terrorise? China executes thousands of people every year, and we know they don’t have a clean human rights record. And then there’s Iran, of course. What are the stats for states who do have the death penalty versus those who don’t? Are there successful states which don’t have the death penalty in terms of deserving crimes? But a good line of thought, one that definitely deserves attention.